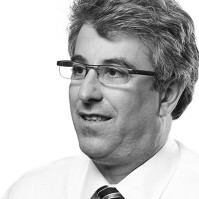 Harvey Alter is a key member of Alter’s business development and tenant-relations team. In addition, he manages a number of the most important asset-management initiatives including rent collection; loss control audits; and environmental compliance. Harvey’s efforts on behalf of Alter include management activities at Alter’s corporate headquarters, a 62,000 SF building in Skokie, IL; One11 West Illinois Street, a 227,604 SF mixed-use building, Chicago, IL; 20 W. Kinzie, a 382,000 SF high rise, Chicago, IL; and Lake Center Corporate Park, a 52-acre office and industrial park, Mt. Prospect, IL. Harvey began his property management career in 1991 when he joined Alter. He had previously held managerial positions in the hospitality industry. He holds a Bachelor of Science in University Studies from Southern Illinois University at Carbondale. He is a member of the Building Owners and Managers Association and the Illinois Medical District Security Group. He currently serves on the board of the Landmark School, one of the nation’s leading college-preparatory boarding and day school for students with dyslexia and other language-based learning disabilities (LBLD).